A transit safety commission for the D.C. area has been approved by President Donald Trump. 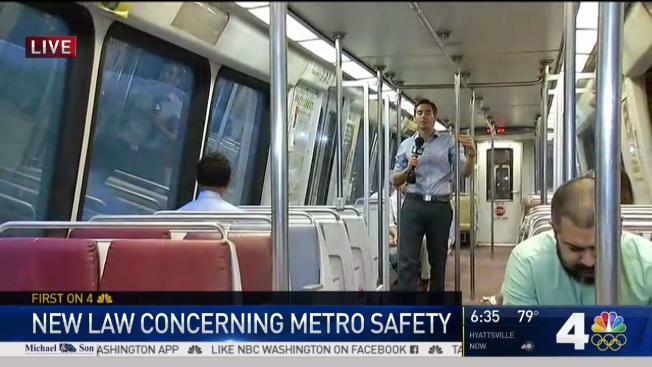 Trump signed a resolution Tuesday allowing Maryland, Virginia and D.C. to create the Metro Safety Commission as federal authorities have temporarily handled safety oversight and withheld funding from local transit agencies. The Federal Transit Administration took over safety responsibilities nearly two years ago after determining the previous agency was ineffective. Since February the federal government has withheld millions of dollars in funding because it's taken years to establish a permanent safety organization. Train accidents like fatal ones in Washington during 2009 and 2015 have spurred officials' demands for a new agency. Once the commission finds offices and employees it'll have to go through a formal handoff process with the FTA.